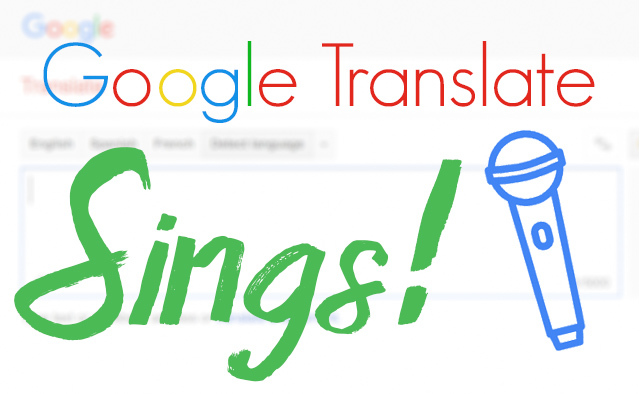 The French Corner: New YouTube Sensation: Google Translate Sings! New YouTube Sensation: Google Translate Sings! My name is Sonya and I am currently a new teacher studying how to teach core French in the British Columbia school system. One of my lectures stressed the idea of not using google translate and letting students know it is not a good resource for french to english translations. This videos shows exactly that! Although google translate is a quick and easy way to translate words and phrases it is not always the best choice and you never know if you are getting a genuine answer. Thanks for sharing!